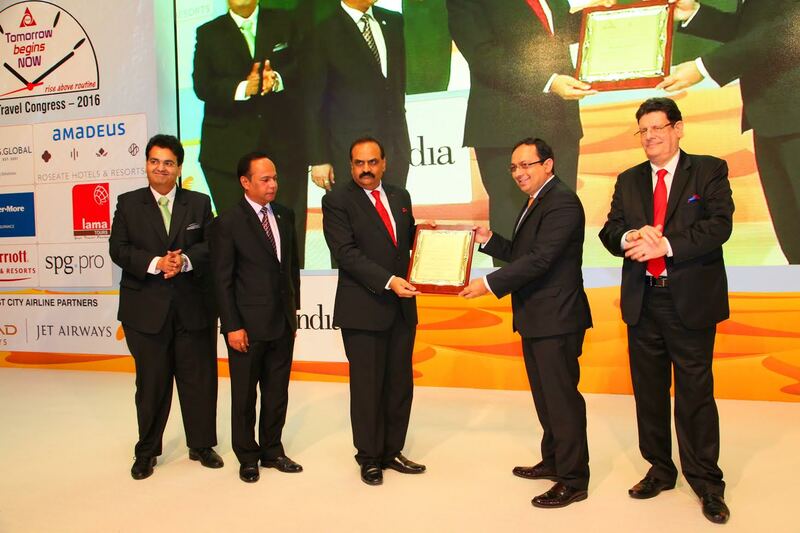 Mr. Zubin Karkaria, CEO – VFS Global and CEO-Kuoni Group, (second from right) receiving the ‘Award of Distinction’ from Mr. Sunil Kumar R, President, TAAI, (third from left) from at the TAAI Convention in Abu Dhabi, on 14 October 2016. DUBAI: Zubin Karkaria, CEO – VFS Global, and CEO – Kuoni Group, was conferred with the prestigious ‘Award of Distinction’ by the Travel Agents Association of India (TAAI), for his long-standing contribution to the Indian travel and tourism industry. Presently, VFS Global serves 51 client governments and operates in 126 countries across 5 continents. The company, which pioneered the concept of visa process outsourcing, has facilitated travel across the world by enhancing efficiencies in the visa application process and making the overall visa application experience easier and much more convenient for potential travellers. The ISO 27001:2013 certified company (for Information Security Management System) has been recognized for maintaining highest levels of security, while adhering to best practices in technology, innovation, and streamlined service delivery. VFS Global is the world’s largest outsourcing and technology services specialist for governments and diplomatic missions worldwide. With 2260 Application Centres, operations in 126 countries across five continents and over 130 million applications processed as on 31 August 2016, VFS Global serves the interests of 51 client governments. VFS Global’s worldwide operations are certified ISO 9001:2008 for Quality Management System, ISO 27001:2013 for Information Security Management System and ISO 14001:2004 for Environmental Management System.